Since there are few things enlightened white guys love posting about on Facebook more than Bernie Sanders and virtual reality, CNN decided to combine those two interests for its upcoming Democratic presidential debate. On October 13, the news channel will stream the debate live in virtual reality using technology from VR company NextVR. According to Variety, it will be the first-ever VR live stream of a news event. All 15 or so people who actually own a Samsung Gear VR headset can use the technology to choose their point of view during the debate. That means they can keep their eyes locked on Lincoln Chafee’s body language as he listens to Hillary Clinton talk about education. Or they can examine the subtle shifts in Jim Webb’s facial expression as Sanders brings up climate change. Or, if they’re lucky, they can even catch moderator Anderson Cooper scratching his nose in between questions. 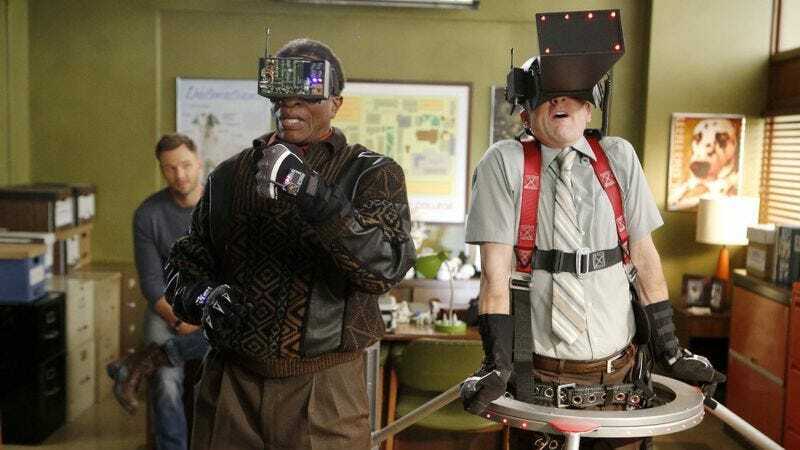 Meanwhile, those without VR headsets will have to settle for watching the debate the old-fashioned way, in which the TV cameras bore everyone by focusing on the person who’s actually speaking. Those who can’t wait for October to experience the thrill of pretending to sit in the audience of a three-hour political debate are in luck. NextVR actually filmed the most recent Republican debate using its 360 technology as well. The whole thing is currently available for download at the NextVR portal in the Oculus Store. In other words: Three hours of non-stop Ted Cruz goodness are only a few clicks away.